Considered as one of the greatest captains of the Indian national cricket team ever. 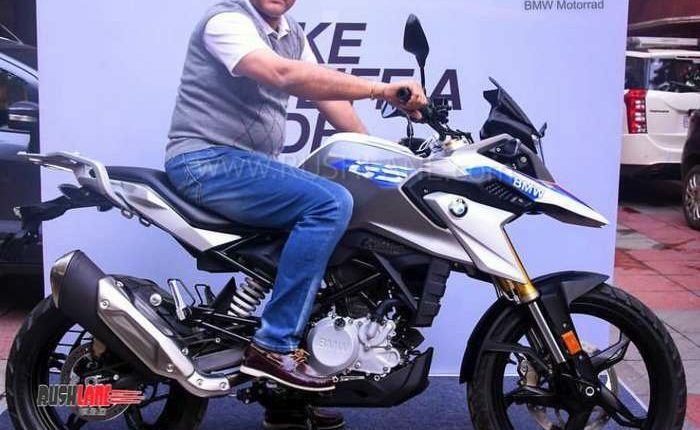 Since BMW Motorrad India introduced the 310 twins on our shores in mid 2018, the company has fared well, posting decent sales for its entry level bikes here. 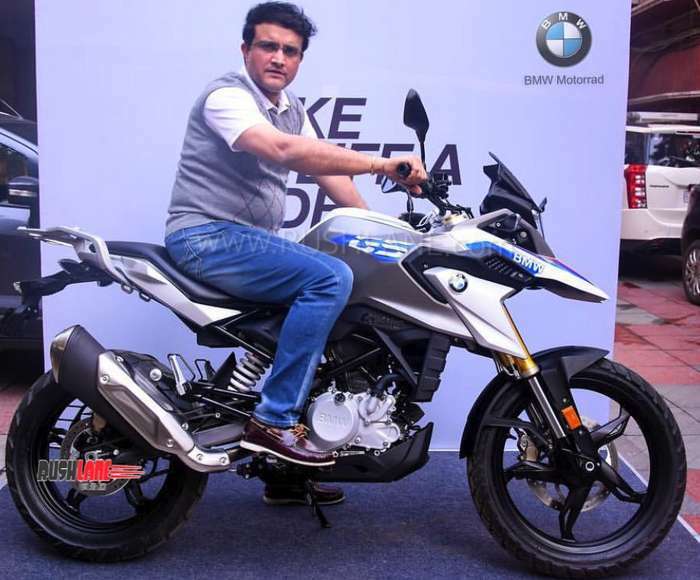 As that enthusiasm grows, in the latest, Sourav Ganguly is now a G310GS owner. 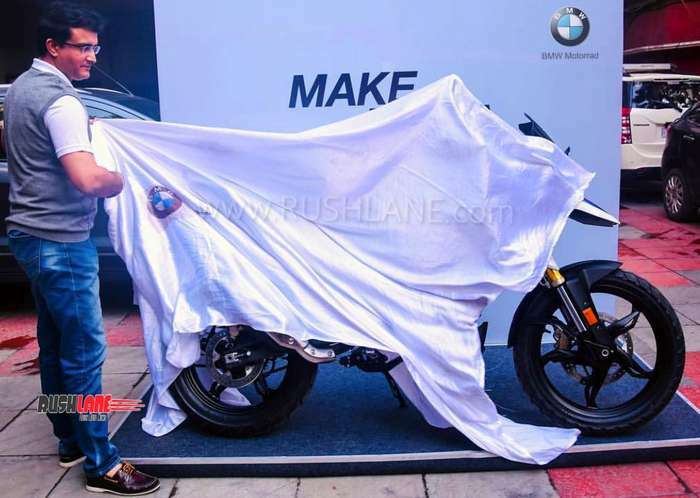 He is now the second prominent Indian cricketer to have purchased the entry level BMW, first being Yuvraj Singh, who bought G310R last year. 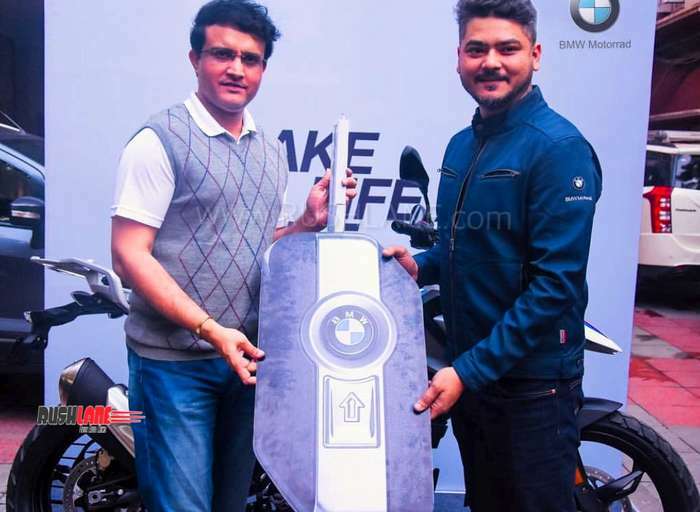 This isn’t the first time former skipper Sourav Ganguly has turned to BMW. The cricketer par excellence has often been seen ferried in a BMW by his driver in Calcutta. 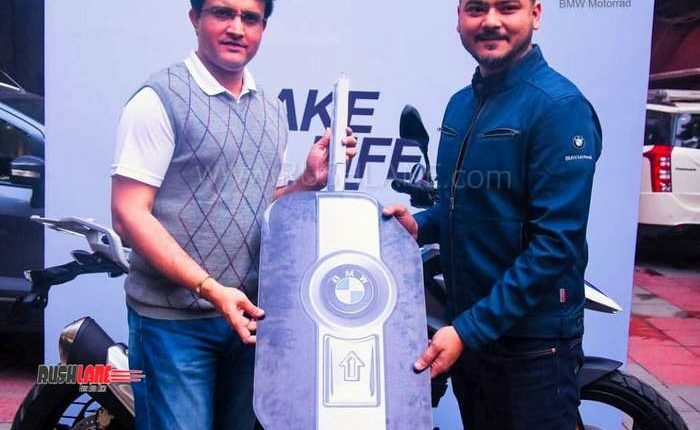 This is probably the first time Ganguly is seen on two wheels in recent years. In fact, Ganguly has for the more than two decades now been a fan of German luxury cars but hasn’t in recent years been associated with two-wheels. In recent memory, one doesn’t remember him riding the streets of suburban Behala on two wheels but it does look that could soon be true. 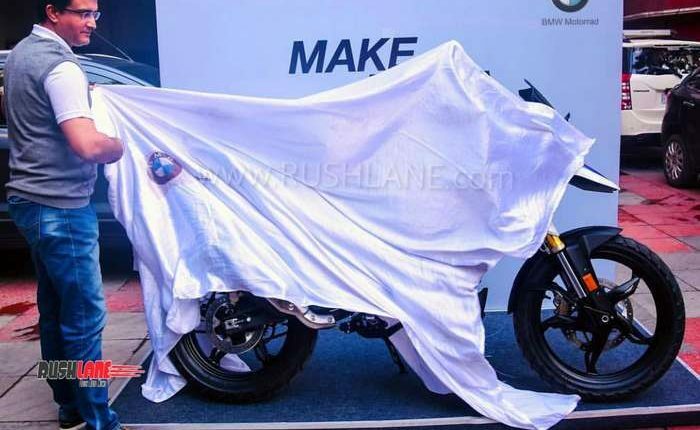 BMW G310GS is made in India by TVS Motor, at their plant in Hosur. It is based on the same platform, as the G310R and the Apache 310. Even the engine and other mechanicals like tyres, suspension, brakes, exhaust is shared between all three bikes. Powering the G310GS is a 313 cc water-cooled, single cylinder engine. It delivers 34 PS @ 9500 rpm and 28 Nm @ 7500 rpm. It has a kerb weight of 169.5 kgs. Fuel tank of 11 liters and a claimed top speed of 143 kmph. Mileage claimed is in the 30 kmpl region. 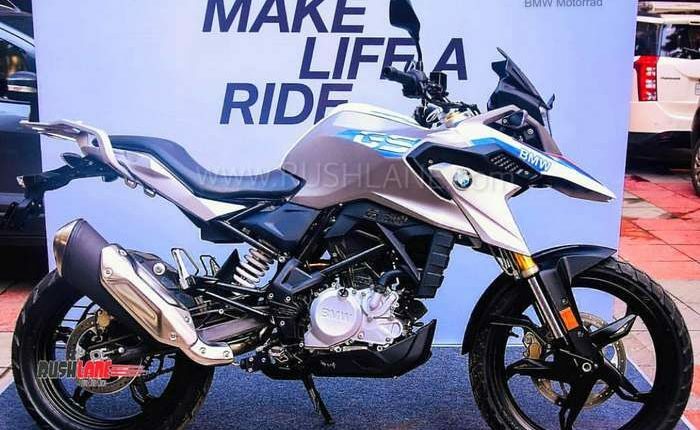 Ex-sh price of new BMW G310GS is Rs 3.5 lakhs. 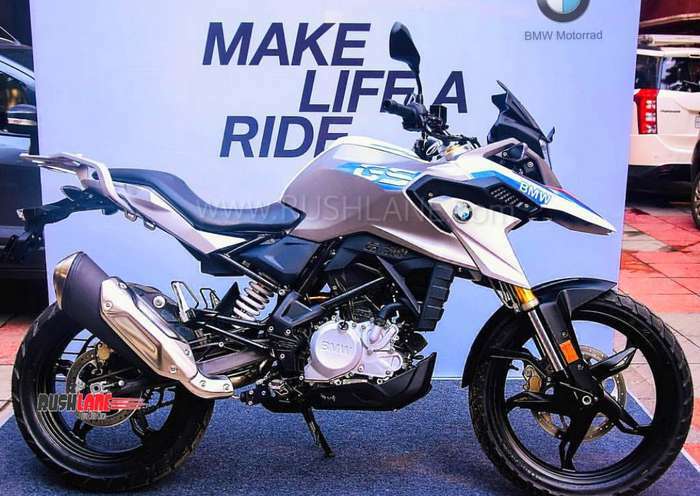 Speaking about sales, the two BMW entry level motorcycles, G310R and G310GS are off to a good start. In spite of being launched in the second half last year, the duo managed sales of about 1,640 units. On a global stage, BMW revealed that the two are now among the top 5 motorcycles sold globally by the company.